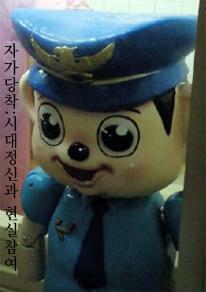 Korean police mascot Podori has no lower body. Making a lower body, Podori tries to be reborn as a combat policeman. But, rats eat Podori's lower body whenever he makes it. The rats don't want Podori to be a combat policeman. Pyo Dol-Yi later kills the rats, blasts the apartment residents with water cannons and even kills the security officer.